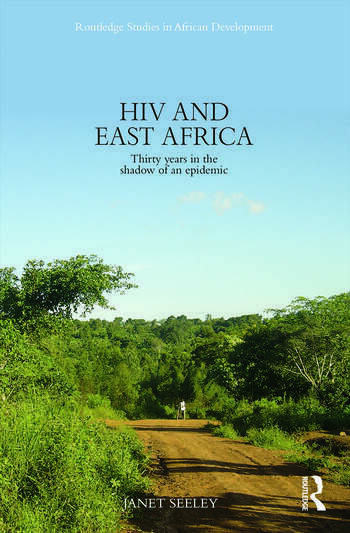 This book is about life in the time of the HIV epidemic in Eastern Africa. By tracing the shadow of the epidemic over the last 30 years in Uganda and more broadly in the region, the author explores the impact of the epidemic on people’s lives and livelihoods, placing the epidemic within the context of the social, political and economic changes that have occurred over the last three decades. While the story inevitably touches on loss and suffering, the message is also about managing the impact of an epidemic which, at one time, was expected to wipe out communities. When one looks for traces of the in southern Uganda, once thought to be the epi-centre of the epidemic, it is hard to see any lasting impact at a community wide level. Delve deeper and there are scars to be found among some families and some patterns of change that are a direct result of the epidemic. However, that is not the whole story. The book goes on to explore the effect of improved treatment and care on perceptions of the epidemic and the fragile hope that now exists as governments and donors struggle to scale-up anti-retroviral therapy. The threats to this hope are examined not only from drug shortages but also from the signs of rising rates of new infections among some communities in the region. The book concludes by putting HIV into the context of other epidemics, and reflecting on what we can learn from Spanish flu and the Black Death about the lasting impact, or not, of HIV. 1. Learning to Live with HIV 2. Loss and Grief 3. Crises and Change 4. Progress and Growth 5. The Changing Epidemic: Treatment and Care 6. Managing Loss, Forgetting the Pain? Janet Seeley holds a PhD is social anthropology from the University of Cambridge (1985). She has been actively engaged in research on HIV and AIDS since the late 1980s, including four years with MRC in Uganda 1989-1993 when she was responsible for setting up social science research in the Unit, the Programme she returned to Uganda to head in 2008. She has worked in a number of different countries over the last 30 years.